New Healthy Home For Sale – being build! Located in a very desirable neighborhood and a walking distance to the sandy beach with stunning views of Georgian Bay and Blue Mountain. Approximately 1800 sq.ft. Raised bungalow with open concept living/dining room comes with the stone fireplace, cathedral ceilings, and pot lights. Modern kitchen with granite counter tops and a walkout to a 16 x 12 large deck. Hardwood floors and natural stone tiles throughout. Master bedroom features a walk-in closet and five pc. en-suite with corner tub and separate shower. Two guest bedrooms are on an opposite `wing` and share a gorgeous four pc. bathroom. Full unfinished basement has a rough-in for the 3rd bathroom and can be fully completed by the builder at the additional cost. 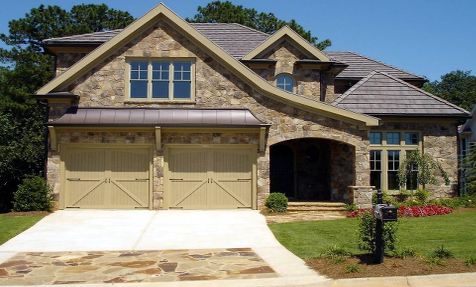 Great curb appeal with stone and siding facade & an impressive entrance with covered porch and decor timber gables. Energy efficient package: radiant floor heat, beefed-up insulation, “on-demand” water heater – 30% more energy savings compared to homes built to Ontario Building Code. Purchase now and choose your colors & finishes from builders samples. Bathrooms: 2 – plus rough in for a 3rd.